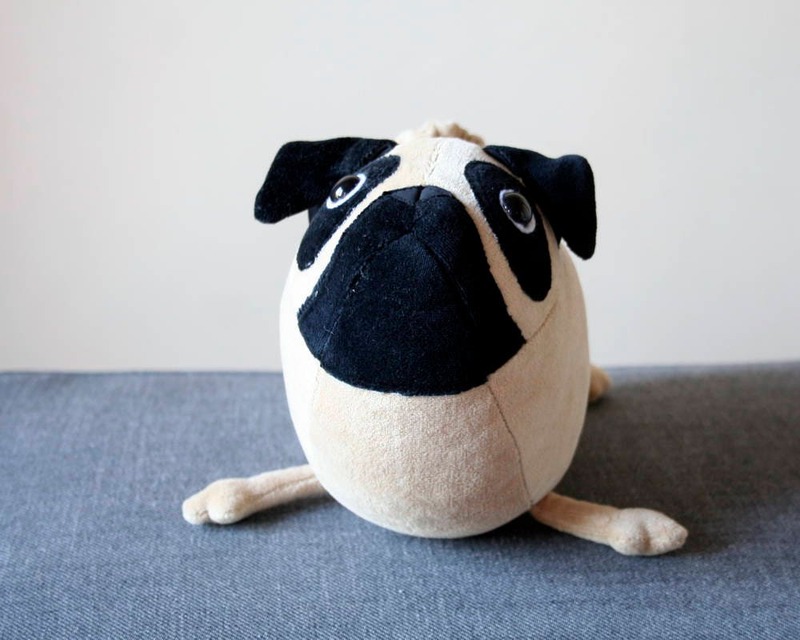 This little pug doggie is always a handsome companion. He is faithful and will always love you. 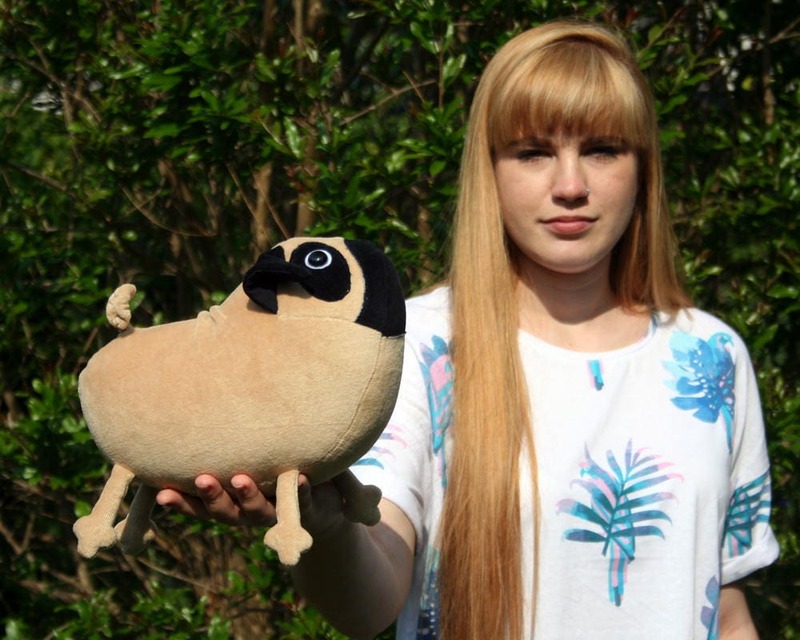 The little pug is made of very soft light peanut brown plush, his face and ears are black. He has huge eyes made of safety buttons. Outer material is Oeko Tex 100 Standard certified, machine washable and tumble dryable. 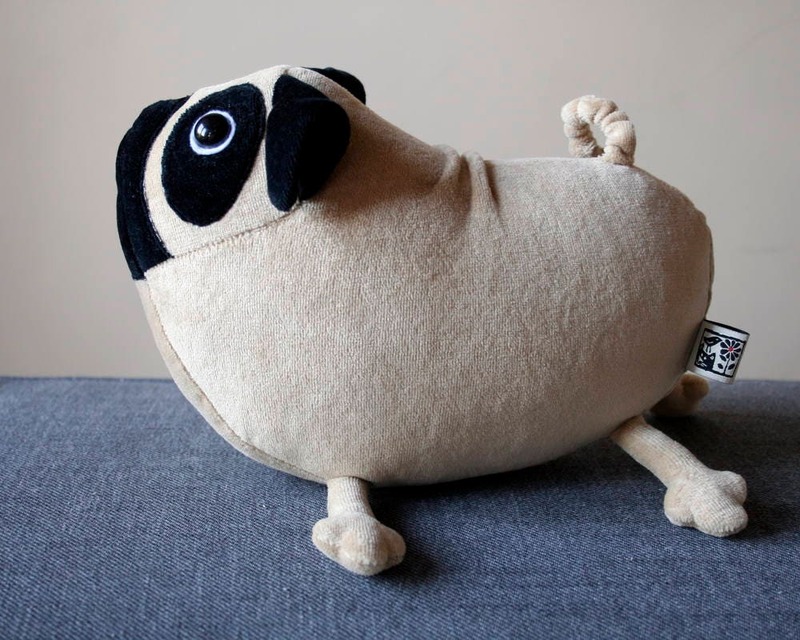 Stuffed with high quality siliconized polyfill which is hygienic and keeps its shape and volume for a log time. 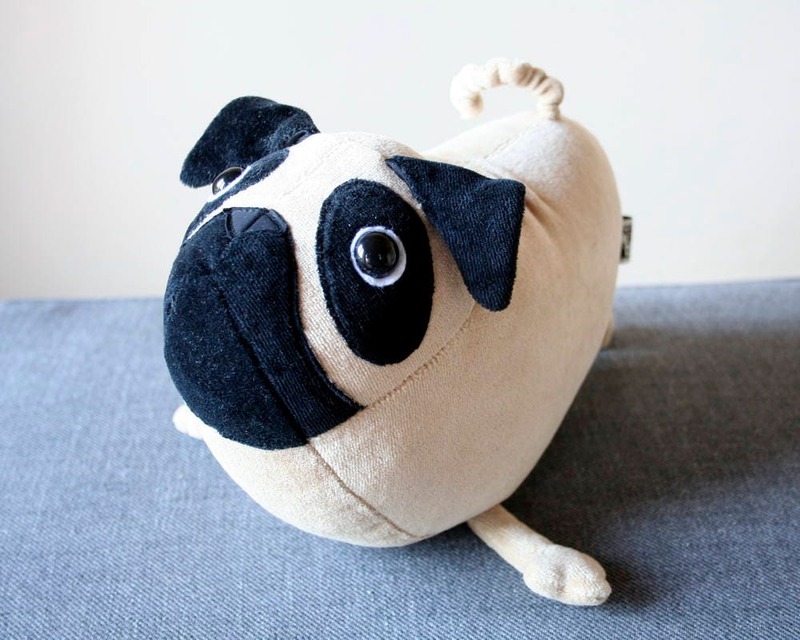 The Pug's body is 10" (25 cm) long from nose to tail. This is the second item I have purchased from andreavida, and both are of exceptional quality. 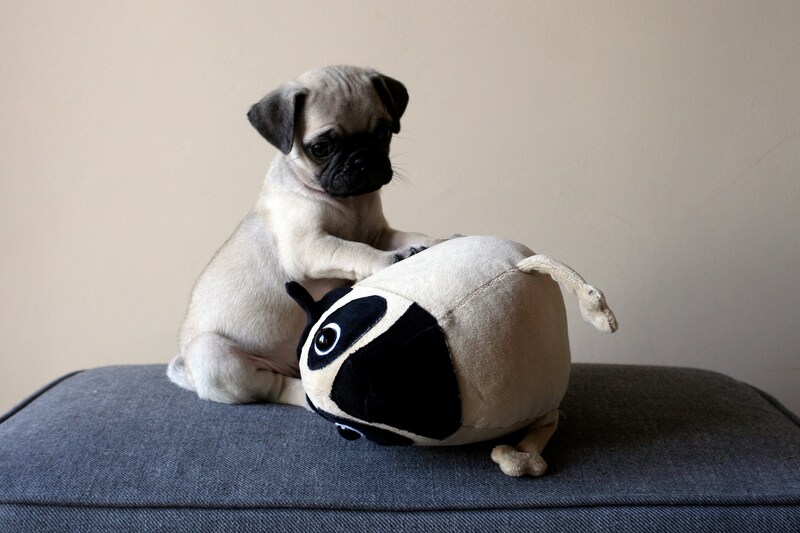 Also, this little pug is just too cute! I will purchase from Andrea again! 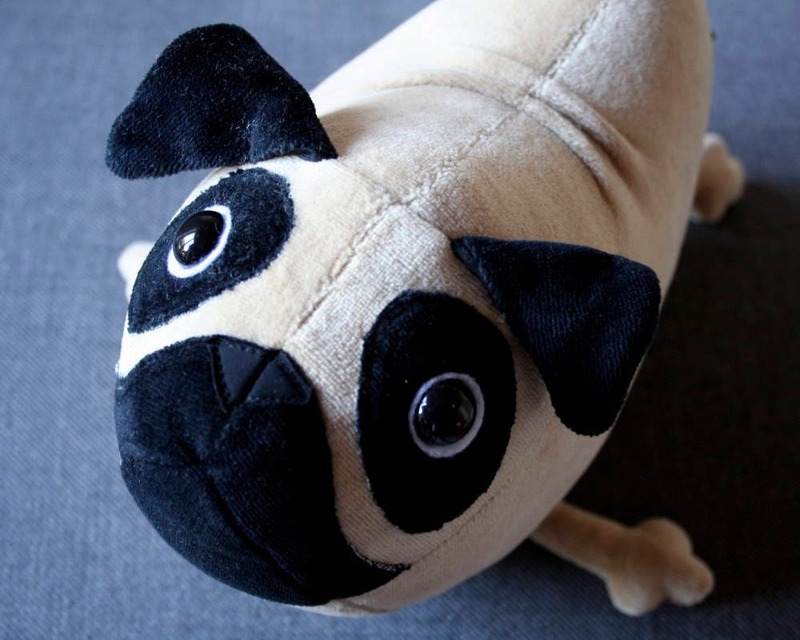 The cutest Pug ever, detail is amazing! Andrea is a sweet and kind person, it was a pleasure to have purchased from her. I highly recommend this shop! Love it so much! Thank you! I ordered another! 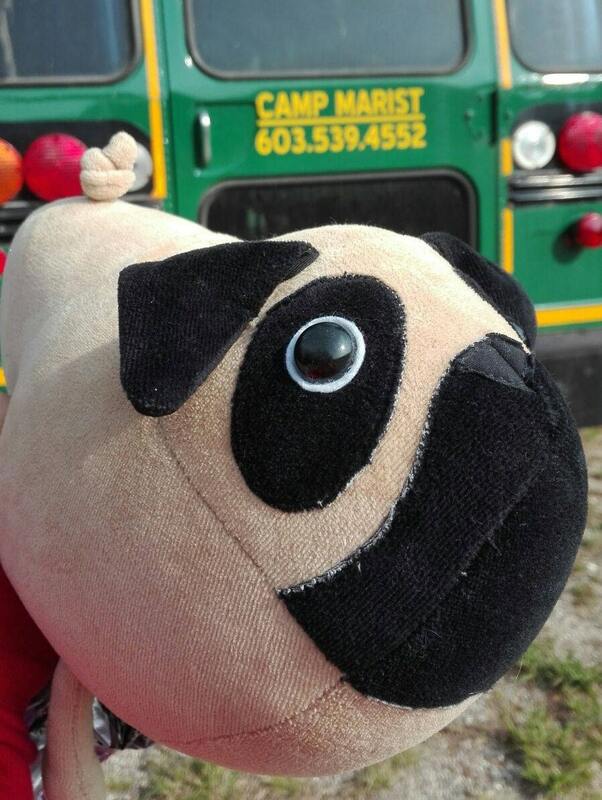 This pug was the hit of Christmas as my niece's dog, Lucy, looks very much like this adorable Pug. Thank you so much for such a beautiful and adorable doggie!